Central Florida isn't nationally known for being walkable and multimodal friendly. However, that doesn't mean that vibrant pockets of walkability don't exist. Just one commuter rail stop north of Downtown Orlando, Winter Park is a pedestrian friendly node worth setting aside some extra time to explore. 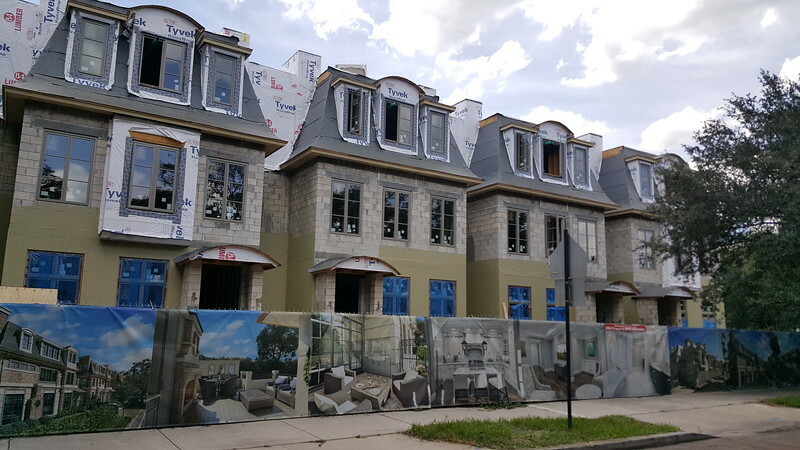 Winter Park is what new urbanist communities like Celebration and Baldwin Park aspire to be. Unlike most Florida communities, built out years ago, the 8.69-square mile city is a place more concerned about preservation and quality-of-life, as opposed to growth by any means necessary. Officially incorporated in 1885, the city quickly came to life following the November 1880 completion of the South Florida Railroad between Orlando and Sanford. Characterized as a network of curved streets, radiating out from a central park-anchored town center, its original town plan was designed by civil engineer Samuel Robinson. By 1886, the community had become a winter resort for the northern elite. President Chester Arthur said it was the prettiest place he’d seen in Florida. President Grover Cleveland stated its Philadelphian and Bostonian founders had done a good job with the town. Between 1940 and 1960, the city’s population quadrupled in size. In 1958, fearful of significant damage to its sense of place, Winter Park residents successfully fought to keep I-4 from being built near its historic city center. Despite being located in a region known for sprawl and autocentric development, Winter Park remains a trendy multi-modal friendly community 132 years after its founding. Since 1890, its historic central park has been anchored by a rail station, now served by Amtrak and SunRail commuter rail, making the city accessible via rail from the majority of Florida’s population. 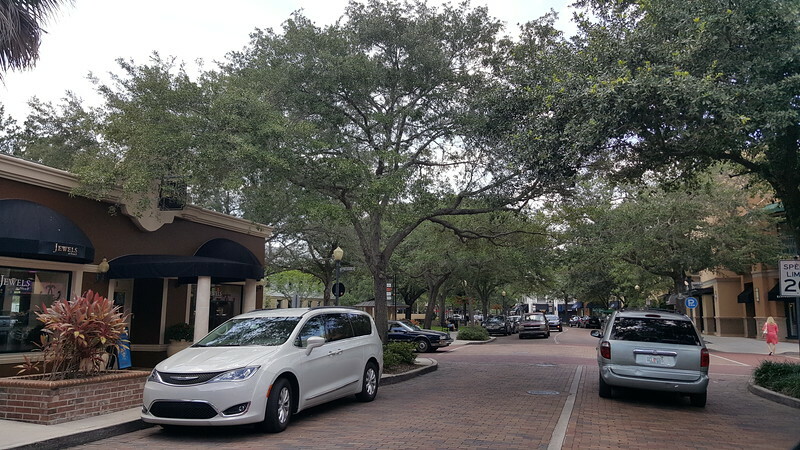 In addition, to promote pedestrian safety, many of Winter Park’s streets feature traffic calming solutions, including brick paving and 20 mile per hour maximum posted speed limits. While this has led to congestion on Park Avenue, its main retail thoroughfare, the corridor has become a major destination known for its large collection of retail boutiques, restaurants and pedestrian friendly setting. Largely built out decades ago, this community of 30,000 residents is located six miles north of downtown Orlando. Here’s a brief photographic look around Winter Park’s central business district.